Caring for a family pet provides many benefits for children. Studies show that children who grow up in homes with pets have less risk of developing common allergies and asthma. It is also known that playing with a pet may help lower blood pressure and require fewer visits to the doctor. Children who own a pet get outside more and are able to reduce stress and anxiety through their relationship with their pets. Children who are learning to read often feel more comfortable reading aloud to their pet. Sharing love and caring for a family pet brings a family closer together and encourages childhood responsibility. There are many different pets to choose from. Dogs and cats make wonderful pets and we all know the advantages and disadvantages to both choices. Its fun to think outside the box of traditional pets such as dogs and cats and look to other types of animals. Our family has enjoyed many different pets from ferrets, fish, a very spoiled Budgie, african dwarf frogs and a very special hermit crab. We live with an interesting combination of amphibian, bird and mammal and it has given our children a hands-on lesson in science. Our son first met a hermit crab a few years ago when we were on a beach vacation. We went to a hermit crab race, the crabs were offered for purchase after the race. Understanding the hazards of a pet impulse purchase, we took our saddened little boy home with the promise to research hermit crab ownership. Fast forward. On a beautiful sunny day in September we took our son to a local Town Day. Armed with his well earned allowance money we told him there would be an opportunity to purchase something from the fair. Who would have ever thought there would be hermit crabs for sale. Happy with the condition of the crabs and after a brief conversation with the vendor we allowed our son to take home his first hermit crab "Pinch Pinch." Having owned Pinch Pinch for almost four years we are finding hermit crab ownership to be a wonderful window into nature. We learned very quickly temperature and a humidity gage, a day and night heating lamp, timer, repti fogger to help control the humidity, substrate, toys and salt water. 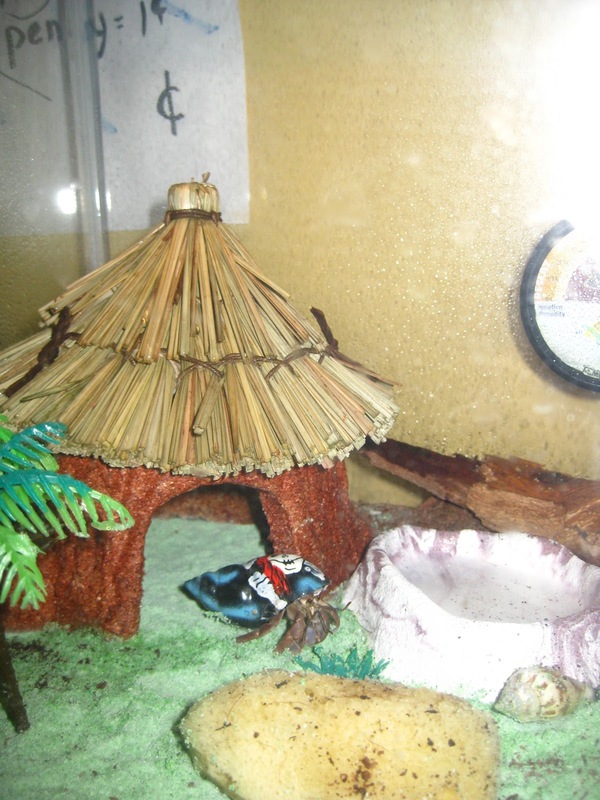 hermit crabs can live 15 to 30 years in captivity if cared for properly. I was bothered by the information I read regarding hermit crabs being forced into painted shells for sale. The crab we purchased came in a painted shell. The vendor told us that the shells were hand painted and offered to the crabs to choose. 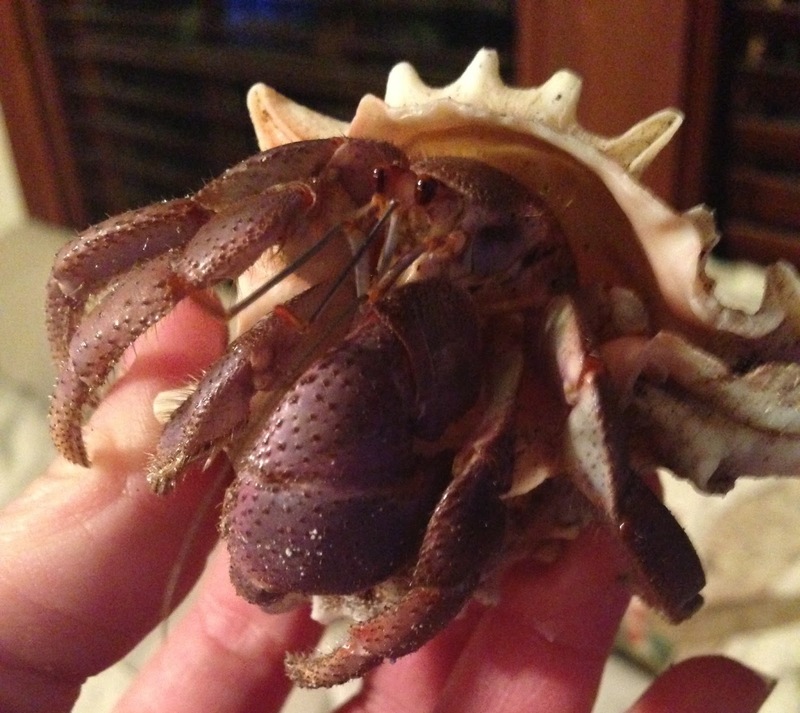 It is interesting to note that our crab quickly chose a natural shell that we offered him once he became settled in his new home. It is important to do your research and find a suitable supplier. 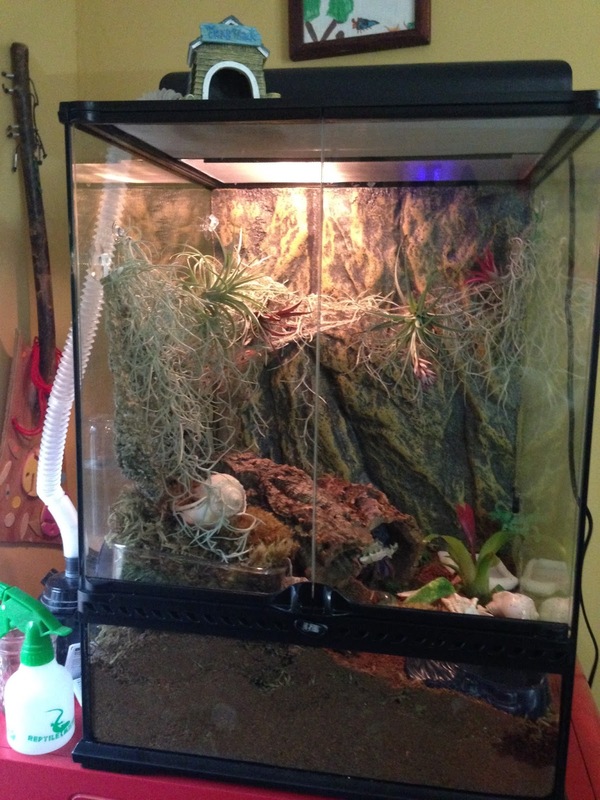 You can also find hermit crabs who are up for adoption. 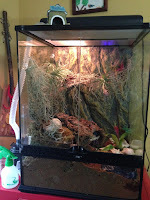 If you are considering a hermit crab there are two wonderful sites that we have been using. Jam packed with information from adopting a hermit crab to the wonders of molting, these two sites are perfect for hermit crab owners. Our ferrets taught our son what it means to be a mammal from Mustela putorius furo group. Ferrets are domestic animals, cousins of weasels, skunks and otters. (Other relatives include minks, ermines, stoats, badgers, black-footed ferrets, polecats, and fishers.) They are not rodents. Ferrets are crepuscular which means they spend 14–18 hours a day asleep and are most active around the hours of dawn and dusk. My son learned a lot about what it means to be patient as he waits for his friend to wake and play. Since ferrets are smaller in size than a cat or dog, learning to play with a ferret teaches children to be gentle and careful. Ferrets are known to suffer from several distinct health problems. Among the most common are cancers affecting the adrenal glands, pancreas and lymphatic system. Our ferret suffered from adrenal gland disease which requires a monthly shot. Caring for him is teaching our son compassion and he learns a lot from our monthly vet visits. Keep in mind that this disease is unfortunately very common in ferrets and presents itself as early as 2 year of age. It can be a costly disease to manage so research before making your decision to add a ferret to your family. Sadly our family said goodbye to our last surviving ferret. Ferret Central is the best online resource I use, it is currently being updated but has some basic information that does not change. It is best to research owning a ferret thoroughly prior to adding one to your family. In Massachusetts, the best veterinary office for ferret care is Angell Animal Medical Center. Massachusetts Ferrets Friends is a great resource to ferret owners as well. Our fish, Buddy teaches our son about caring for a friend that lives in a completely different habitat. Not being able to touch or play with the fish has brought on some creative interactions between the two. Blue Paxton the Third is a Betta fish, very easy to care for. We are the proud owners of a very spoiled Budgie named Ziggy. Living with Ziggy has been great fun for my little aviculturist. Ziggy tolerates being handled, is easy to care for and has developed a vocabulary that includes "pretty bird." I recommend that you purchase a hand-raised bird. We got Ziggy from a breeder and could not be happier with her! She is very bonded to the whole family which she views as her flock. Most hand-raised Budgies are very sweet natured and will gladly oblige! Prior to adding a bird to your flock it is very important to find an Avian vet, research each breed carefully and spend some time with your bird prior to taking your new friend home. I recommend contacting an Avian vet prior to making a purchase to find out specific information. They are an excellent resource.